Sherlock's Garage is your one-stop car service centre and is ideally located for motorists throughout counties Sligo, Roscommon, Leitrim & Mayo for all their car servicing and car repair requirements. We are ideally located for motorists in Boyle, Carrick-on-Shannon, Tubbercurry, Ballaghaderreen & Ballymote. Sherlock's Garage is a Bosch car service centre who specialise in Mercedes, Audi, VW, Mitsubishi, Toyota, but carry out comprehensive servicing repairs and diagnostics on all makes and models including Peugeot, Citroen, Renault, Saab, Iveco and Isuzu. 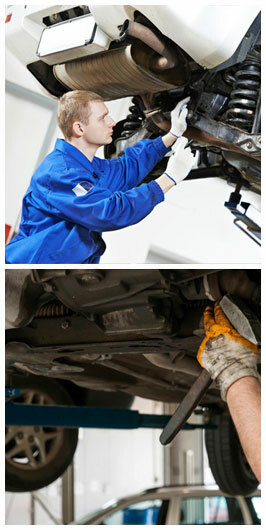 Regular maintenance of your car is essential to safety and can help ensure trouble free motoring. In our Bosch car service centre, each member of our service team undergoes specialist training, which together with the latest diagnostic equipment and specialist tools, go to ensure that any repair is carried out efficiently and 'right first time'. For more information on the benefits of working with a Bosch approved service centre you can visit the official site at www.boschcarservice.co.uk.